After a month of eluding, it has happened. An occasional dry cough has mined down into my bronchi to produce the rattling notes of illness. My sinus passages refuse to work in unison. They are contented to take turns passing air while the other throbs with the pressure of an impassable clog. I had successfully managed to avoid this cold as it passed through our household. Germs have filled the confined atmosphere of a house sealed against the frigid winter weather. These germs have systematically progressed through my family – son to daughter to wife… and now to me. I thought I had successfully eluded the buggers since wellness prevailed through our home for more than a week. Yet, there were signs that all was not well for a few days. And a tickle has been maturing in the back of my throat. My wife asked me how I felt this morning and made an observation as to why my immune system may have now succumbed when it had been able to fend illness off for so long. “We haven’t been eating well lately,” is what she said. It is true. We came off of our diet cleanse (SOUL CLEANSE) through the Christmas festivities. We have not been eating horribly but it surely hasn’t been as well as before. Our diet might not be the sole reason for my illness, but I surmise that it was a significant contributor. I came across a survey at Ligonier Ministries recently. The survey purported to take the temperature of America’s theological health. Answers are reflective of our “made-to-order” god. The majority of Americans perceive “goodness” to be a better description of people then “sinful”. The majority of Americans aren’t convinced of a literal heaven and hell. Pluralism is rampant within our culture. Our culture is anti-theological – we are in a new dark age. The survey demonstrates that many professing Christians are theologically sick. After writing this blog for a couple of years, these survey conclusions do not surprise me. I regularly get emails and comments from individuals purporting beliefs that are anti-theological. I wonder if one of the contributing reasons for the theological illness of America is our typical Christian diet. I read Psalm 63 as part of my daily Bible reading this morning. I was struck by three words. We will not earnestly seek after someone we don’t value. We will never wait for our thirst to be quenched by someone we don’t trust. Surely, we will never exert ourselves to the point of passing out for a belief we doubt. I find these words very convicting because they do not describe me to the degree that I would like. The passion of the Psalmist is the natural manifestation of a healthy soul. It is the result of someone regularly grounded on a dietary foundation of sound doctrine. It is through sound doctrine that the value of Christ is expounded; the trustworthiness of God is demonstrated; and doubts are answered. Doctrine is not a bad word. Doctrine merely means knowing what you believe, why you believe it, how to live it, and how to share it. It is anti-theological to reject doctrine just because it is doctrine. This attitude resigns us to a life of chronic spiritual aliments. Let’s embrace a regular diet of theology and the passion that will come from a spiritual healthy life. If you are interested in my thoughts on how to cure bad theology, check out CURING BAD THEOLOGY. On August 28, 1963, Dr. Martin Luther King, Junior gave, in my estimation, one of the great political speeches of American history. 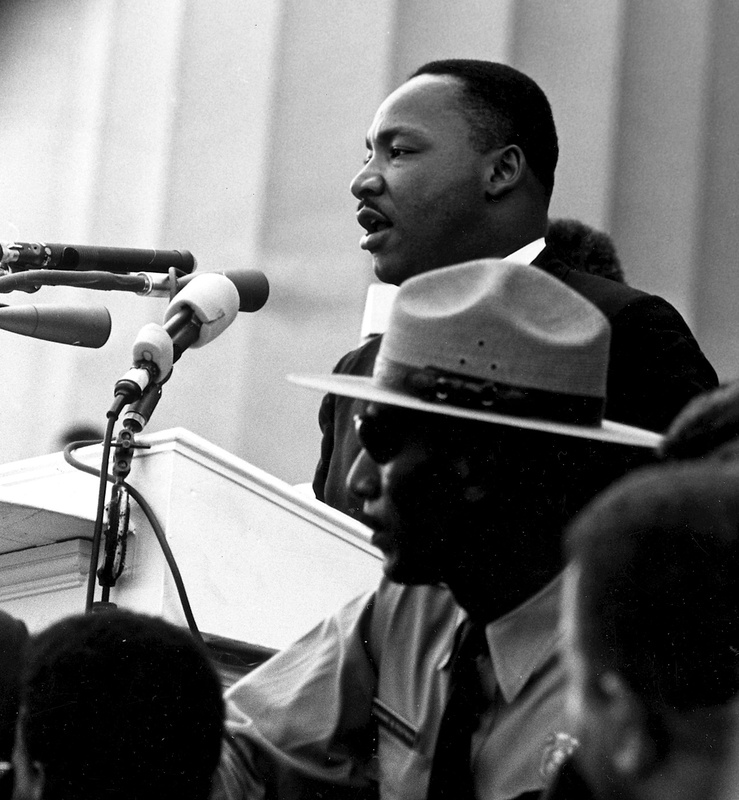 On that day, he encapsulated the purpose and vision of the civil rights movement of the 1960’s in a mere 17 minutes. He encouraged the nation to hope. He showed the nation that there was something worth dreaming for. He reminded the nation of the injustice that the black community was suffering. He elicited our founding principles “that all men, yes, black men as well as white men, would be guaranteed the ‘unalienable Rights of Life, Liberty and the pursuit of Happiness’ and asserted that America had defaulted on its promise of “the riches of freedom and the security of justice”. Dr. Martin Luther King, Junior had a dream. It is a dream that I share with him. “… that one day every valley shall be exalted, and every hill and mountain shall be made low, the rough places will be made plain, and the crooked places will be made straight; “and the glory of the Lord shall be revealed and all flesh shall see it together.” I share his dream! I was not alive when Dr. King stood on the steps of the Lincoln Memorial to cast this dream to America. Yet, his vision has been my adult hope for the race relations of United States. Therefore, I have deeply despaired over the images that have appeared on my television screen during 2014. I have witnessed the violence of demonstrations in Ferguson, New York and across the country. I have been repulsed by the injustice of rampaging demonstrators assaulting and destroying property in the justification of injustice. I read this morning of the wakes for the New York police officers killed in retribution for the police killings of Michael Brown and Eric Garner. I feel my hope for freedom and the security of justice from 1963 being lost in the wrongful deeds, bitterness and hatred of 2014. What has happened to the high plane of dignity and discipline? Where are the majestic heights of Dr. King’s “soul force”? Has the reality of life killed the dream we’ve dreamed? I have been reading Les Miserables by Victor Hugo. So, my thoughts have returned to the injustice of his creation in order to make sense of our current reality. I wonder if Anne Hathaway’s portrayal of a dream lost to a horrible and unjust world fits the hopelessness of many engaged in the protests. Are there dreams that cannot be? Are there storms that we cannot weather? It seems to me that the interior despair of Jean Valjean described by Hugo so many years ago is the source of the hatred and bitterness behind what we have seen this last year. He (Valjean) asked himself whether human society could have the right to force its members to suffer equally in one case for its own unreasonable lack of foresight, and in the other case for its pitiless foresight; and to seize a poor man forever between a defect and an excess, a default of work and an excess of punishment. He made it responsible for the fate which he was suffering, and he said to himself that it might be that one day he should not hesitate to call it to account…. From suffering to suffering, he had gradually arrived at the conviction that life is a war; and that in this war he was the conquered. He had no other weapon than his hate. He resolved to whet it in the galleys and to bear it away with him when he departed. I have seen much exasperation this last year. It appears to be an exasperation cloaked in hate, manifested in hopelessness, waging a losing societal war by burning down its own communities. It is an exasperation that appears to condemn the American dream in hatred for being a dream that cannot be. This is my conclusion because I do not believe that violence springs forth from the high plane of dignity and discipline or the majestic height of Dr. King’s “soul force”. to the realities of a cruel, inequitable and unjust world? I do believe that those in the poverty of black communities do not have the same trust in their security of justice that I know. I do believe that I have been endowed with a freedom of opportunity by the “chance” of my birth that most in poverty will never know. I also believe that most of those subjected to this justice system are there, just as Jean Valjean, as a result of wrongful acts of their own making. I believe that the ladder rungs of the American dream reach down to all levels of poverty, allowing anyone with the will to climb the freedom to rise above their condition and escape from a culture of despair. I do not have the answer to our racial problems of 2014. I do not believe that the answer is in more legislation and laws. I believe that the answer is in redemption. Les Miserable is a story of redemption. Dr. King’s dream is a vision of redemption. Redeeming our society into something better than it has ever been; a society where blacks and whites really will join hands as brothers and sisters. We need each other. Our freedom, blacks and whites, are inextricably linked. True redemption is what our country needs. I still have a dream but my hope is personal redemption of those who are suffering. My hope is that they will be freed from their despair, bitterness, and hatred by the only source that I know is capable of the monumental task – Jesus Christ. Through Christ, all things are possible. What we need are voices crying into the wilderness of the black communities saying “prepare the way of the Lord”. We need voices condemning the injustices against blacks. Equally, we need voices condemning wrongful deeds and physical violence; condemning those who seek to satisfy their thirst for freedom by drinking from the cup of bitterness and hatred. We need voices calling the struggle against injustice to the high plane of dignity and discipline. We need voices to call us to the majestic heights of meeting physical force with soul force. That is when our society will begin to take its next redemptive steps on the road toward racial harmony. I say to you today, my friends. As a year’s end rapidly approaches, I get a little retrospective. I was looking over my 2014 resolutions and was disappointed in the general lack of accomplishment. I was particularly disappointed with the progress toward my body weight goal. I was 200 pounds at the beginning of 2014. My goal was to be 186 pounds at the close of this year. I exercised more consistently this year than I have in my entire life. I ran more miles than I have ever run. I pedaled over more asphalt than I have ever cycled before. I followed the black line in my pool lane, lap after lap, for more laps than I thought possible (for me). I did the Jilian Michaels Body Revolution and P90X3. I took a fitness test and it said that I have the fitness level of a 21 year old. Yet, I was 204 pounds as of November 1st. I know I have put on muscle but that only explains a portion of my weight gain. My bathroom mirror exposes a lot of things, including the myth behind my rationalizations. The reservoir of fat that accumulates above the dam of my belt has persistently survived through the drought that I sought to subject it to. The reality is that the drought was not as severe as it needed to be. I no longer have the metabolism of a twenty-nothing. I can’t eat whatever I want and just workout a little more to stay lean. My weight is a frustration because I do not eat excessively. I don’t drink carbonated-sugar colas or snack on junk food. I have only an occasional dessert. My only meal of substance is dinner. Yet, the weight has persisted through a year of consistent exercise. 2014 has conclusively taught me that if I want to be lean then I have to watch both the quantity and quality of what I eat. Therefore, my wife and I decided to treat ourselves to an early Christmas present – a Vitamix and Dr Oz’s two-week cleanse. My diet has been replaced by fruits and vegetables with a little bit (6 oz.) of protein for dinner. That is not very much. However, this initial phase has been enlightening as to how much our grocery shopping has had to change. Our refrigerator crisper is now overflowing with produce that is actually eaten before it has a chance to rot; frozen fruit and Greek yogurt has replaced the ice cream. When we made this concerted effort to refrain from our normal diet, we were able to access how many compromises were being made in what we consumed. They had not been huge compromises, but they all accumulate – right above my belt to be precise. In general, we have been consuming the better rather than the best. So far, I am very pleased with the results of our Christmas present. I am down to 196 lbs and 186 lbs seems possible by the time the 2015 triathlon and cycling season starts. As I stared into my bathroom mirror and giggled in frustration the deposits that I hope will be gone by spring, I wondered about the fitness level of my soul. I live in a world with many very good things, a lot of neutral things, and a whole plethora of bad things. I take into my mind a regular diet that feeds my soul. I believe that we can be spiritually fit with chunky souls. We may know the basic principles of God. We may be secure in the elementary doctrines of Christ. We may be steadily maturing in our faith. Yet, we still retain that persistent “baby fat” of an immature follower of Christ. What is the diet of your soul? Are you feeding your soul the solid food of the mature believer or the milk of the immature? Is your diet filled with the things of the Spirit or the compromises of the flesh? I believe it is good to do a periodic spiritual cleanse. When we make a concerted effort to refrain from the normal diet of what we allow into our minds, we are able to access how many compromises we make in our soul’s diet. These compromises might be sinful, but they don’t have to be. We may have merely substituted the better for the best. Compromises don’t have to be huge but they can accumulate to pull our eyes off of Christ and make us spiritually fat. I believe that this process of stepping back and assessing what we let into our minds is instrumental in allowing the Spirit to train our souls to discern between good and evil. Let us not settle for the better. Let us push on to the best. Let us push on to maturity with a diet that will feed a lean soul, fit for the work of our Lord.